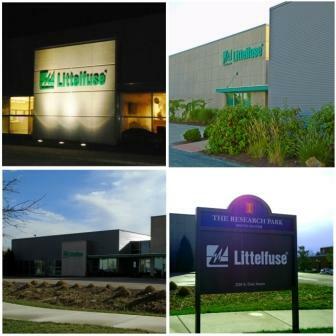 Littelfuse, a worldwide leader in circuit protection products and solutions, opened a single-tenant, 13,508 square-foot technical center at 2110 South Oak Street in March 2010. The Littelfuse Technical Center houses the company’s High Power Test Lab and POWR-GARD divisions. Lab capabilities include over current and overvoltage testing as well as material analysis and reliability testing.